With spring in the air and warm, sunny days just around the corner, my thoughts are escaping to summer vacation. Are yours as well? Where to go and what to do? Hmmm….I have an idea if you are a nature lover and like the great outdoors. If your answer is yes, let me tell you about one of our trips to Alaska. Come along as I share my experience with you. No trails, one dirt road and 6 million-plus acres of true wilderness. Denali National Park. The Mountain is literally the focal point of this trip. The tallest mountain in North America, you can’t help but notice it, gaze at it, photograph it, and be mesmerized by it. Mount Denali, meaning “the high one or the great one” in the native Athabascan tongue, checks in at 20,320 feet. The name itself inspires awe. A challenge to photograph, its peak is often shrouded in clouds. The park is open 12 months of the year to hardy individuals who are up to the challenge during the off-season. In any season, there are adventures to be had. Camping, trekking, photography, biking, boating, fishing, wildlife viewing, mountain climbing, ice climbing, cross-country skiing, dog sledding, snowmobiling….the infinite list goes on and on. Intrigued by various articles on Denali, I decided to place this destination on my bucket list and find out why this place is so special. Mountains, rivers, lakes and tundra are part of the vast landscape making up Denali. Not to bore you but to give a little perspective - archeological sites reveal that humans lived near the Teklanika River in 7130 BC, but modern man traversed the area in the 1890s hunting, trapping and looking for gold. In 1906, Charles Sheldon, an avid hunter and naturalist, visited the area to study the wildlife and was dismayed at the huge numbers of Dall sheep harvested for their meat to sell to Alaska railroad workers and Kantishna gold miners. Realizing the Dall sheep population could never sustain such impact long-term, Sheldon returned to New York with one goal in mind: to create a wildlife refuge in Denali. After lobbying Congress for years, Sheldon (known as the father of Denali) was rewarded when President Woodrow Wilson declared 1.9 million acres to become Mount McKinley National Park in 1917. Now, you may ask as I did, what’s with the two names, McKinley and Denali? Well, there was always an argument over the name……political of course. Sheldon and the natives argued for Denali, but the gold miners of Kantishna along with their icon, William McKinley (who was also running for U.S. President at the time and favored the Gold Standard), plus a prominent author by the name of William Dickey who had previously published “Discoveries in Alaska”, favored the McKinley name. So McKinley it was…until 1980. 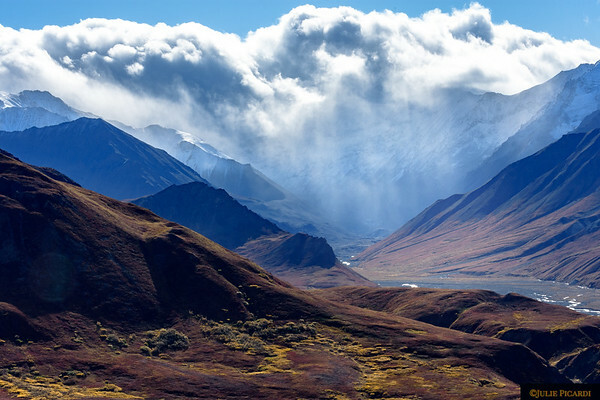 In 1980 the Alaska National Interest Lands Conservation Act, ANILCA, increased the park size to 6.2 million acres thereby combining McKinley National Park with the previously established Denali National Monument. 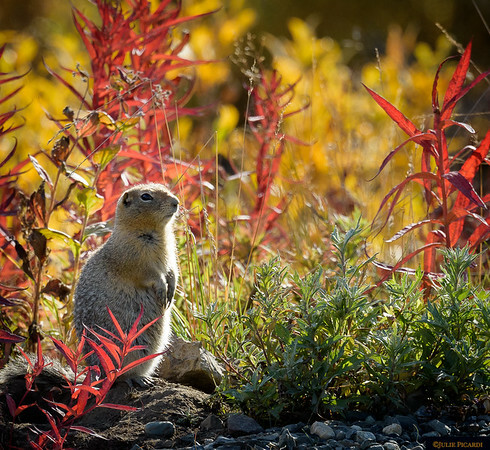 Integrating both areas, it was renamed the Denali National Park and Preserve. Confusing right? But it doesn’t end there. At that time, the Alaska State Board of Geographic Names changed the name of the mountain to Denali, but the U.S. Board of Geographic Names didn’t. It was still Mount McKinley to them. So now we have Denali National Park and Preserve with Mount McKinley….again, very confusing….until August 2015. 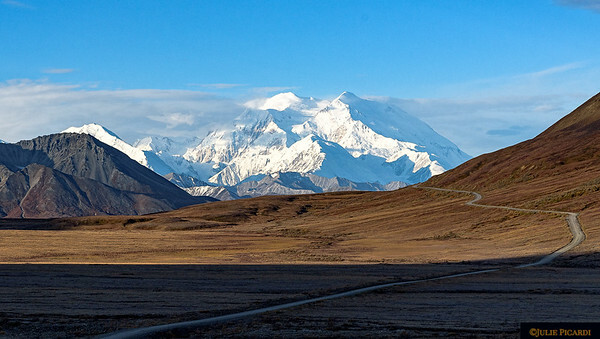 Under President Obama’s direction, the name of the mountain finally rests as Mount Denali within Denali National Park and Preserve. WHEW!! Now that we have that out of the way, let’s get on with planning your trip! We will dig into how to get there, where to stay, and what to see on my next blog. Until then....ciao!